THIS SATURDAY 11/3 – Powerhouse in Folsom. We’re headed back up to the Gold Country to this wild n’ crazy live music joint. It’s always a fun night at the Powerhouse with two full sets of the best of Tom Petty & The Heartbreakers. Show starts at 10PM and goes to 1AM. JOIN US! FRIDAY 11/16 & SATURDAY 11/17 – Club Fox in Redwood City. SATURDAY 12/1 – Mystic Theater in Petaluma. We have been celebrating Tom Petty’s music for nearly 15 years and in particular this past year since his passing. But now it is time to celebrate his birthday and that’s an occasion worth having not just one, but two parties! THIS FRIDAY, 10/19 – JaM Cellars Ballroom in Napa. We kick off the weekend festivities by returning to this great live music venue (formerly the City Winery, Napa Opera House) in beautiful downtown Napa. The Blue Mixers will be opening with rare tracks and other favorite songs performed by Tom. This will be a special show with many surprises and special guests! THIS SATURDAY,10/20 – Cornerstone in Berkeley. This is the main event folks, our 6th Annual “Tom Petty Birthday Celebration” and the first one that lands on his actual Birthday! We are very pleased to be doing this at the fantastic Cornerstone in Berkeley less than 2 miles from where Tom Petty & The Heartbreakers made their last appearance in the Bay Area at the Greek Theater. 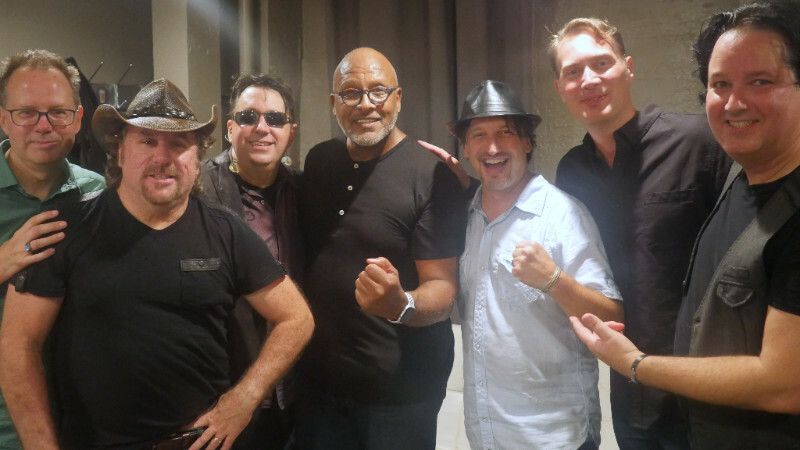 We are also honored to be joined by the KENNETH BRIAN BANDfeaturing none other than STEVE FERRONE of the HEARTBREAKERS on drums! This should make for a magical evening celebrating Tom’s Birthday. This show is expected to sell out so grab your tickets in advance and JOIN US! SATURDAY, 11/3 – Powerhouse in Folsom. We’re headed back up to the Gold Country to this wild n’ crazy live music joint. Always a fun night with two full sets of the best of Tom Petty & The Heartbreakers. Show starts at 10PM and goes to 1AM. JOIN US! That’s right, for the first time we will be doing two nights at Club Fox in Redwood City both as “An Evening With Petty Theft” celebrating the musical legacy of Tom Petty. Both nights will feature two sets and we will be changing up the set lists each night so come to one or both shows… Get your tickets NOW as these shows will sell out! SATURDAY, 12/1 – Mystic Theater in Petaluma. 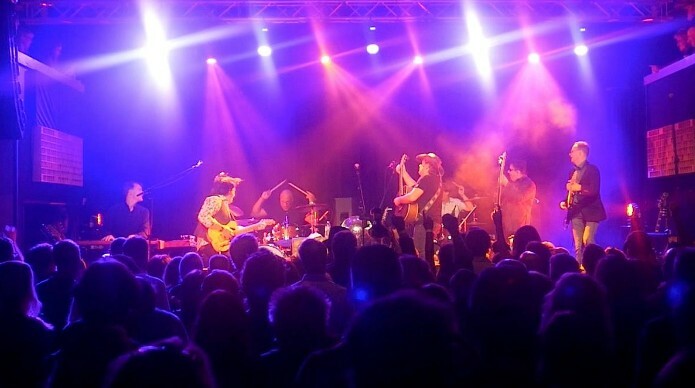 “An Evening With Petty Theft” celebrating an entire night of the musical legacy of TOM PETTY. This is one of our most popular shows of the year. Get your tickets NOW as this show is expected to sell out in advance. SATURDAY, 10/13 – Harlow’s Nightclub in Sacramento. “An Evening With Petty Theft” featuring two sets celebrating the music of TOM PETTY. We love playing Sacramento and our last show was our first sellout at Harlows. So get your tickets NOW! FRIDAY, 10/19 – JaM Cellars Ballroom in Napa. We are looking forward to returning to this great music venue (formerly the City Winery) to kick of our weekend of shows celebrating Tom’s Birthday! The Blue Mixers will be opening with rare tracks and other favorite songs performed by Tom. This will be a special show with many surprises and special guests. SATURDAY,10/20 – Cornerstone in Berkeley. 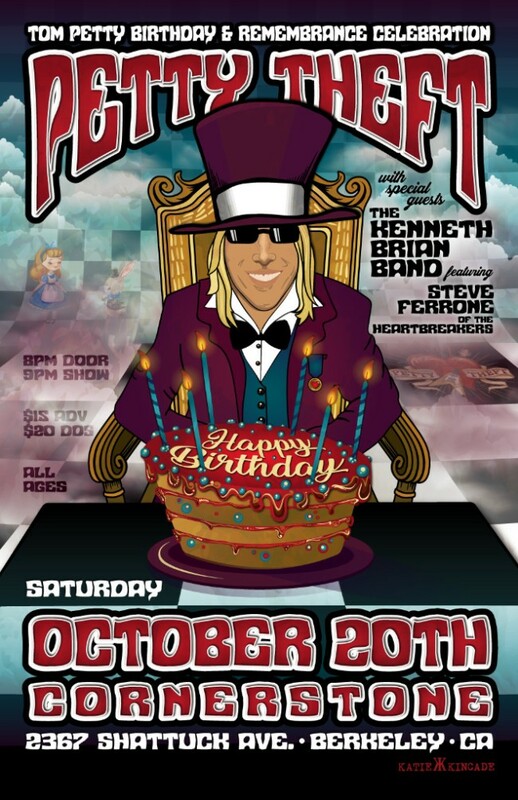 This will be our 6th Annual “Tom Petty Birthday Celebration” and the first one that lands on his actual Birthday! We are very pleased to be doing this at the fantastic Cornerstone in Berkeley less than 2 miles from where Tom Petty & The Heartbreakers made their last appearance in the Bay Area at the Greek Theater. We are also honored to be joined by the KENNETH BRIAN BAND featuring none other than STEVE FERRONE of the HEARTBREAKERS on drums! This should make for a magical evening celebrating Tom’s Birthday. This show is expected to sell out quickly so grab your tickets in advance and JOIN US! We’re back from a couple of great shows up in Portland, OR and Seattle, WA. 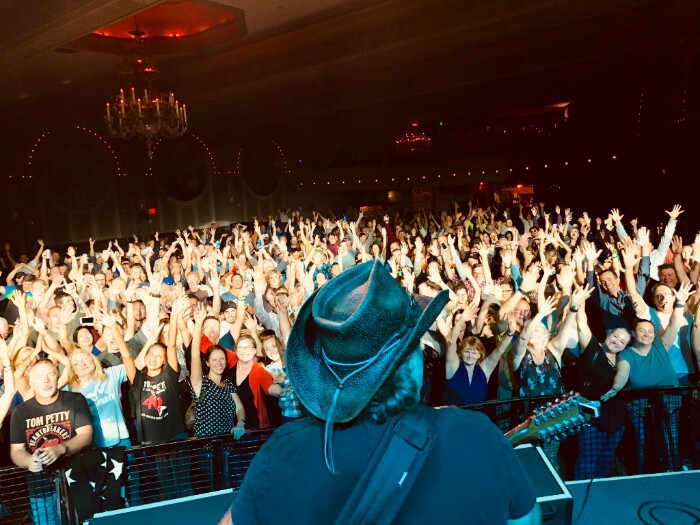 It was truly a milestone for us to headline McMenamins Crystal Ballroom in Portland and by the looks of the above photo, we hope to do it again! THIS FRIDAY, 9/28 & SATURDAY, 9/29 Sweetwater Music Hall – Mill Valley. These shows are always among our best of the year in one of the coolest venues in the nation. We perform two nights featuring two different sets each night. We will be celebrating all the hits and gems of Tom Petty’s musical legacy. Tickets remain available but they will not last as both shows are expected to sell out quickly (Friday is nearly sold out already). Don’t make The Waiting the hardest part! 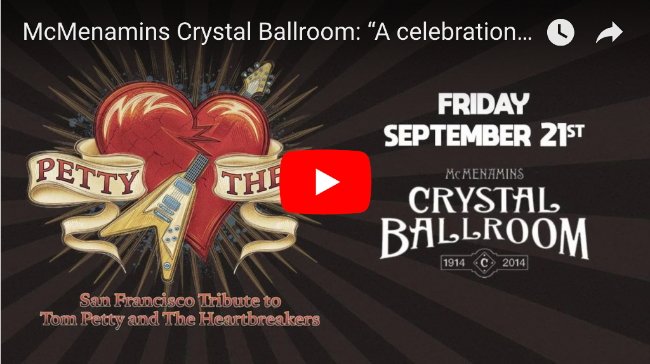 THIS FRIDAY, 9/21 McMenamins Crystal Ballroom – Portland, OR. We are fired up to be doing our first headline show at this beautiful and historic venue in downtown Portland. If you ever wanted to see PT in a legendary venue performing for 1,500 people then this is the one. Please tell your friends and family in the Portland area to JOIN US! THIS SATURDAY, 9/22 El Corazon – Seattle, WA. 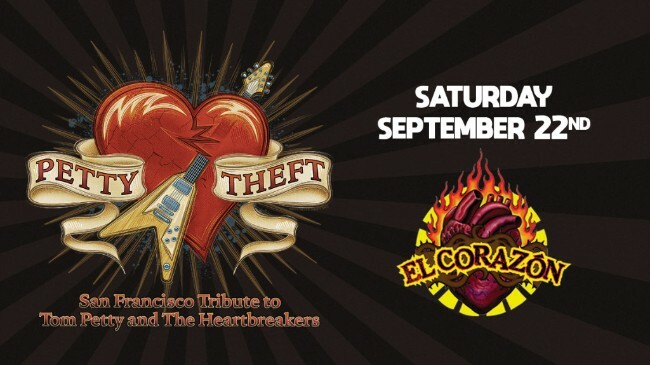 From Portland we head to Seattle for our debut at the iconic concert hall El Corazon,“The Heart” of downtown Seattle. Joing us our special guests: Seattle’s own Past Curfew and Max Fite from Los Angeles.Tickets remain available. Please tell your family and friends in the area to JOIN US! FRIDAY, 9/28 & SATURDAY, 9/29 Sweetwater Music Hall– Mill Valley. We’re coming home! These shows are always among our best of the year in one of the coolest venues in the nation. We perform two nights featuring two different sets each night. We will be celebrating all the hits and gems of Tom Petty’s musical legacy. Tickets remain available but they will not last as both shows are expected to sell out. Dont make The Waiting the hardest part! SATURDAY, 12/1 – Mystic Theater in Petaluma. 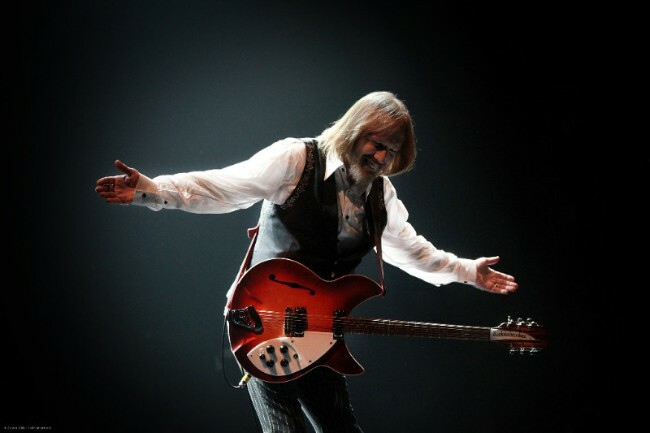 “An Evening With Petty Theft” celebrating an entire night of the musical legacy of TOM PETTY. This is one of our most popular shows of the year. Get your tickets NOW as this show is expected to sell out in advance.